What was Reagan’s big secret? First Lady Nancy Reagan relied on an astrologer to time the President’s every public move following the March 1981 assassination attempt. In fact, when Joan Quigley, the secret White House astrologer, predicted another assassination, the two did not go outside for over a month. Not only did Ronald Reagan survive the remainder of his presidency, he went on to be regarded as one of America’s most popular presidents. Walt Disney used astrological timing for signing contracts, introducing movies and products, and opening his theme parks. J.P Morgan – who became a billionaire when millionaires were rare – used it for all his investments. And, even 20th Century Fox Studios consulted an astrologer on the best opening days for its films, including “Star Wars” – one of the highest grossing movies of its time. Have you ever wondered why some people struggle while others succeed? Why do some shoot to the top and others can’t seem to catch a break? Do you ever notice how some of your desires manifest easily while others feel like boulders being pushed up the steepest hill? Could there be a secret that only the select few know, that can make life easier and attract abundance in all its forms? I believe that Electional Astrology, or as I call it “Time Selection,” is that secret and is the most powerful astrological tool for achieving your goals and reaching your highest potential. Whether it’s a personal pursuit or a business endeavor, catching a favorable wave could be the difference between success and failure. And, since you often only get to choose one wave per goal – it’s best to make sure you’re surfing a great one. Your birth time is your start time. It defines who you are at your core and how your life flows with each passing year. While you can’t change when you were born, you can certainly manipulate the rest of your life’s outcomes by carefully selecting their start times. Remember that every dream you pursue has its own beginning. Its final outcome – good or bad – can always be traced back to the moment you first ignited it. Whether it’s a marriage, starting a business or purchasing a new home, when you choose to that take that first step towards fulfilling your dream is critical to how favorably it unfolds. Don’t just seize the right day. Seize the right hour and right minute of that day. Ronald Reagan was sworn in as governor of California at the exact time of 12:10 a.m. on January 3, 1967. His unusually timed inauguration occurred not a minute before and not a minute after the time provided by his astrologer. Even before his presidency, Reagan understood the power of Time Selection. While there may be a specific day that is best suited to starting your desired action, there are 24 hours from which to choose. By selecting the best hour and even minute within that day you can optimize your chances for success that much more. 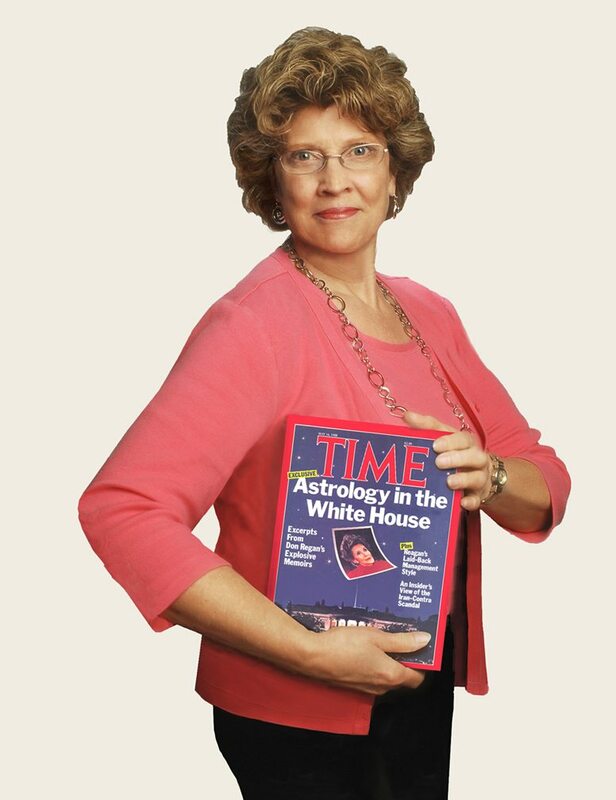 For day-to-day planning, Janet’s Plan-its™ astrological calendar is a must have tool. For life’s most important decisions, it’s always best to consult your astrologer. There are general astrological influences that impact all of us and I’ve captured these good and bad days in my calendar – an easy-to-use guidebook for timing your everyday activities. However, when making decisions that carry a higher value – whether financial or emotional – it’s exponentially better to time things according to your unique birth chart. In fact, it’s best to go by your own chart even if you don’t have your exact birth time. If you are uncertain about what hour and minute you were born (don’t despair! ), I offer my “Retracing Your Footsteps” service to determine your most probable birth time and chart. It doesn’t matter what your goal or situation may be, I am here to help you achieve your desired results!